The key word when thinking about 2017 video trends is more. More social media sites will use video. More people will watch video. More data bandwidth will be dedicated to transmitting video. Video is popular because it is more than static words on a page. It compels attention in a way that a still image cannot. Video combines sight, sound and emotion. The same format that had people ducking for cover in the earliest movie theater now has people pausing their endless scroll to watch, engage and buy. To that end, I’m going to talk about how 2017 video trends will be about more. More video. More mobile. More brands. More moments. More social. According to Cisco forecasting, 82 percent of global consumer internet traffic will be video by 2020. That’s up three percent from the 79 percent predicted by Cisco last year. Folks, 2020 is just three years away! Social media platforms continue to embrace video. Instagram increased the length of videos permitted on their platform. Facebook’s CEO talks about making the platform video first. Pinterest is rolling out promoted videos for brands. The result? More videos in more places. The demand for video is clear. Cisco also predicts that two-thirds of all internet traffic will be from wireless and mobile devices by 2020. Two out of every three. As the world becomes more mobile-oriented, you have to think about your video in terms of visibility across multiple platforms and devices. Your content has to work in multiple ways. This may mean you have to film more b-roll or have several cuts of the same campaign. Even if you only do B2B where most of your traffic comes from desktops, you still have to prepare for the mobile-first world. 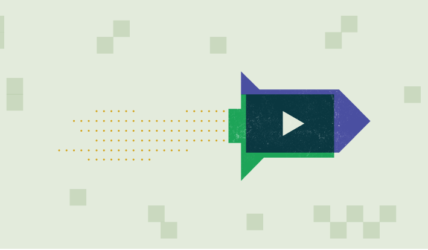 As the social media landscape continues to move toward mobile first, more brands will need to create video. YouTube is helping small businesses in select cities by providing filmmakers to help create video ads. If your digital strategy for 2017 doesn’t include video, then you’re missing out on brand recall and reach. During Google’s 2016 keynote address, the focus was on reaching consumers at the right moment. It’s not that customers don’t want to interact with your brand – they do! But, customers want to be reached at the right time. You want to add to the conversation, not interrupt their groove. Video helps you reach the right moment. TrueView ads invite viewers to interact. People share ads, especially when those ads are funny or have a compelling story. Use data to help position yourself in the right moment in a buyer’s journey. Throughout 2017, expect there to be more moments to reach out to potential customers. With more social media sites including video, it is inevitable that more video content will be shared. Remember to design video to be shared on social media. Many websites such as YouTube and Facebook have algorithms that reward video content that gets shared socially. Viewers are primed to like, share and comment. Along with an increase in video, there will be an increase in video sharing. Make sure your content is created to be as social as your audience. When thinking about 2017 video trends, you need to think about more. The prediction about the future of video is that most of the world will be watching rather than reading from the internet in three short years. If you want to talk about video for digital marketing, drop me a line.